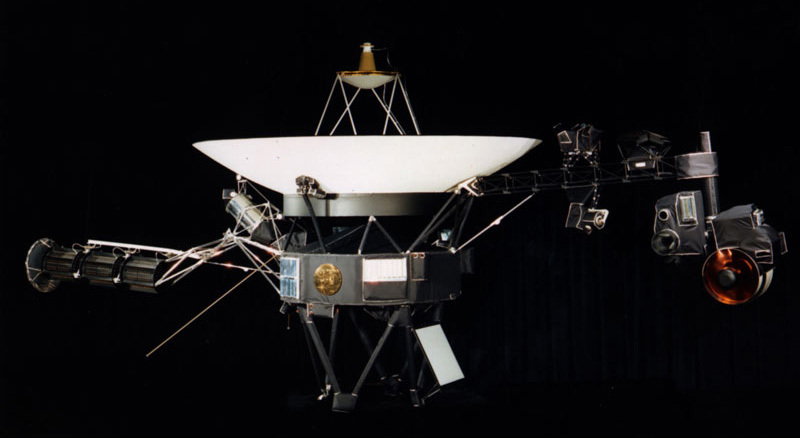 The identical Voyager spacecraft are three-axis stabilized systems that use celestial or gyro referenced attitude control to maintain pointing of the high-gain antennas toward Earth. The prime mission science payload consisted of 10 instruments (11 investigations including radio science). Learn about the on-board instruments and the science data being returned to Earth. The command computer subsystem (CCS) provides sequencing and control functions The CCS contains fixed routines such as command decoding and fault detection and corrective routines, antenna pointing information, and spacecraft sequencing information. The Attitude and Articulation Control Subsystem (AACS) controls spacecraft orientation, maintains the pointing of the high gain antenna towards Earth, controls attitude maneuvers, and positions the scan platform. Uplink communications is via S-band (16-bits/sec command rate) while an X-band transmitter provides downlink telemetry at 160 bits/sec normally and 1.4 kbps for playback of high-rate plasma wave data. All data are transmitted from and received at the spacecraft via the 3.7 meter high-gain antenna (HGA). Electrical power is supplied by three Radioisotope Thermoelectric Generators (RTGs). The current power levels are about 249 watts for each spacecraft. As the electrical power decreases, power loads on the spacecraft must be turned off in order to avoid having demand exceed supply. 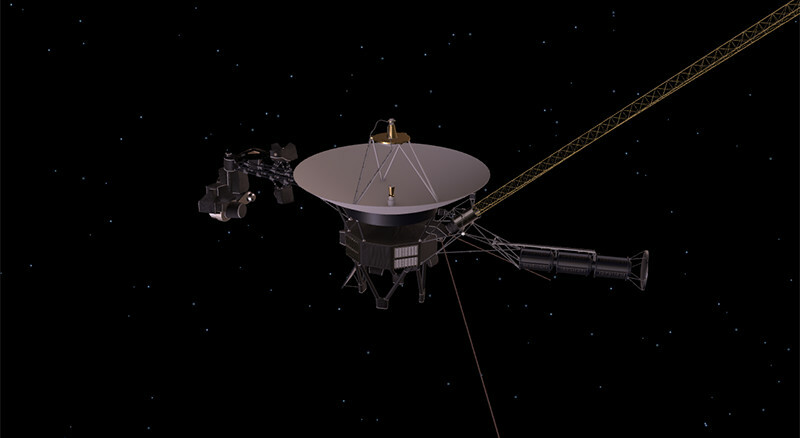 As loads are turned off, some spacecraft capabilities are eliminated.